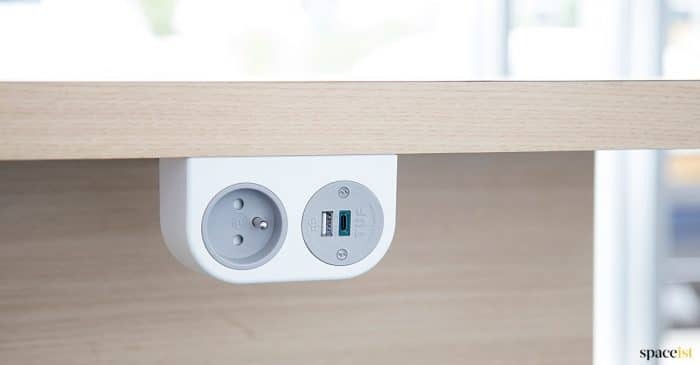 Future proof your workspace, banish trailing wires and extensions and keep all of your staff and visitors happy and productive with cleverly designed office and school furniture that includes desk mounted or built-in plug and USB sockets. 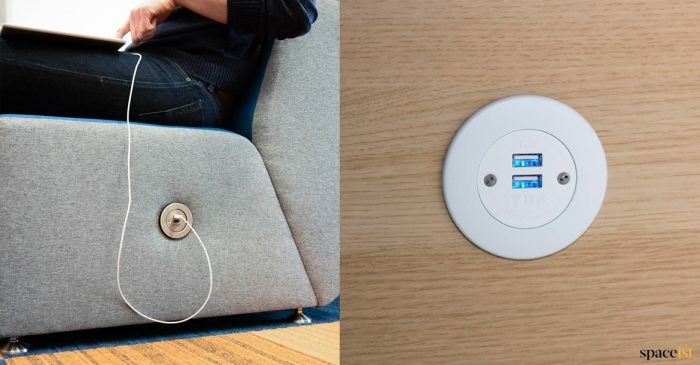 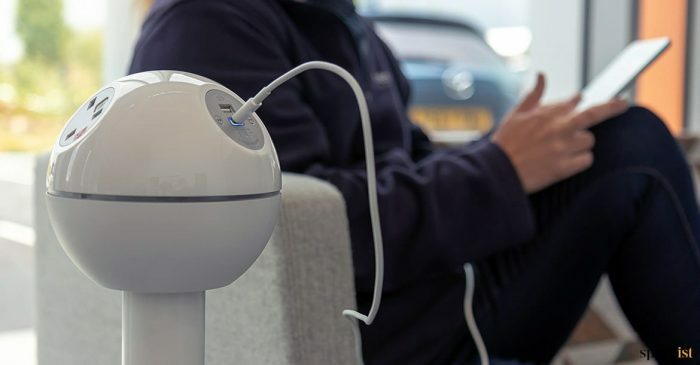 Fitted into the arm of a sofa or reception chair, our hidden plug sockets and wireless phone chargers will keep everyone connected with options including UK plug, USB charger, USB data, Ethernet RJ45, HDMI, VGA and VGA Stereo. 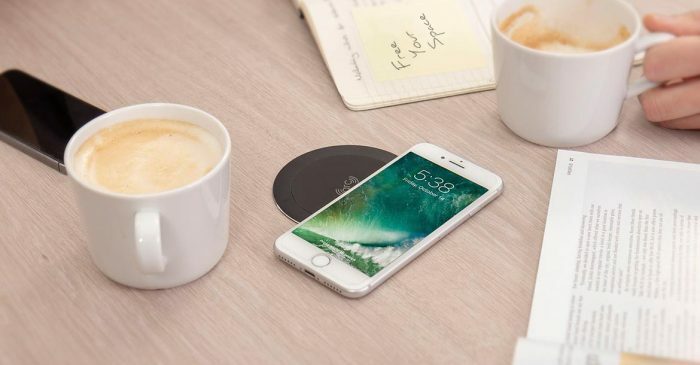 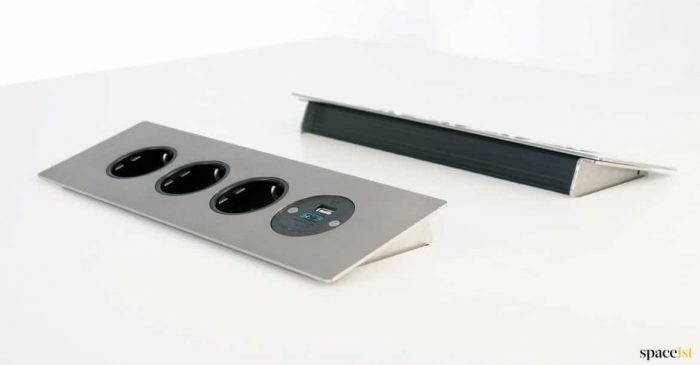 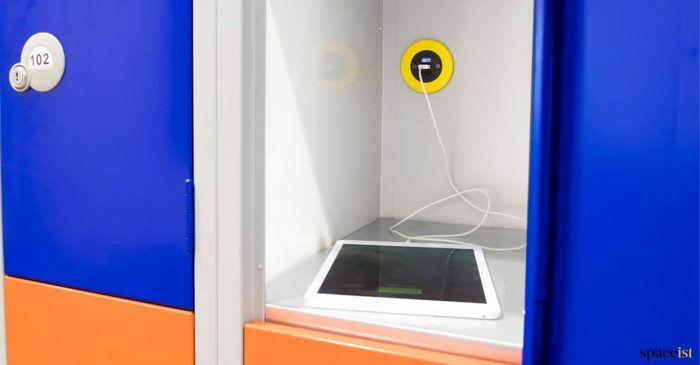 Alternatively, add our executive-style charging ports to meeting tables for seamless productivity, or choose from a range of rotating, pop up and fliptop styles to bring connectivity and flexibility to all workplaces and public spaces. 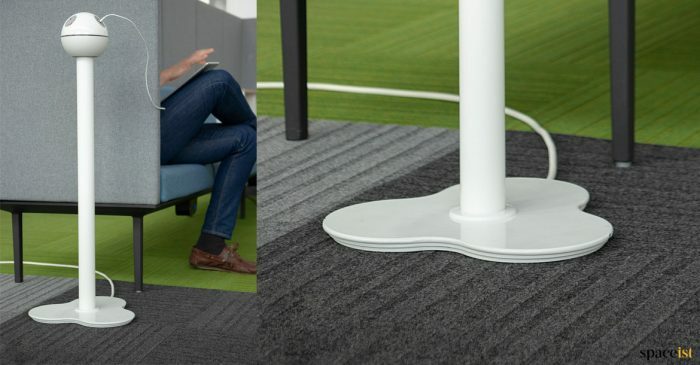 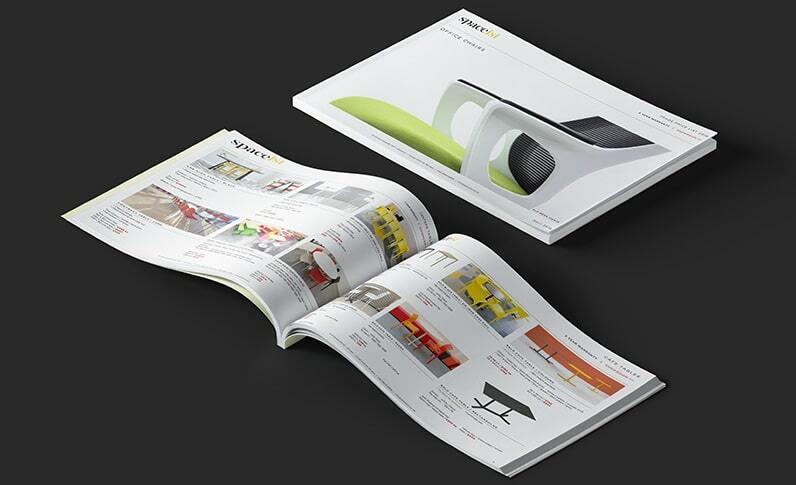 Suitable for schools, universities, museums, public spaces, reception areas and offices. 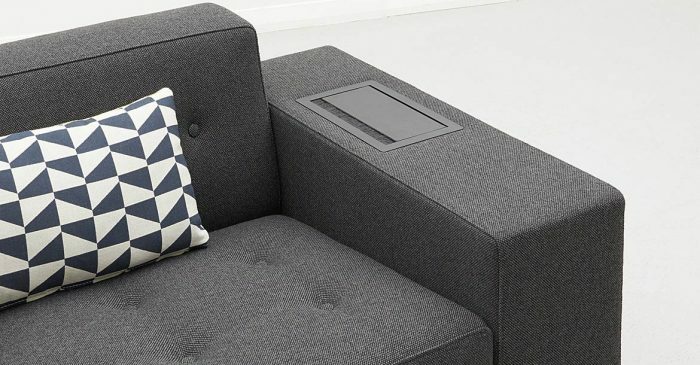 Black power sockets fitted into the top of the sofa armrest. 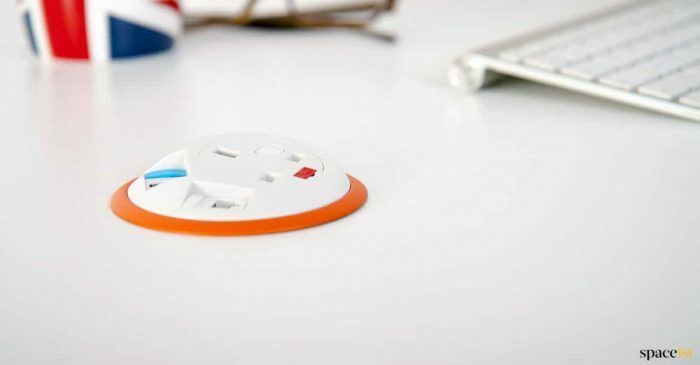 Choose from UK plug sockets or USB charging sockets. 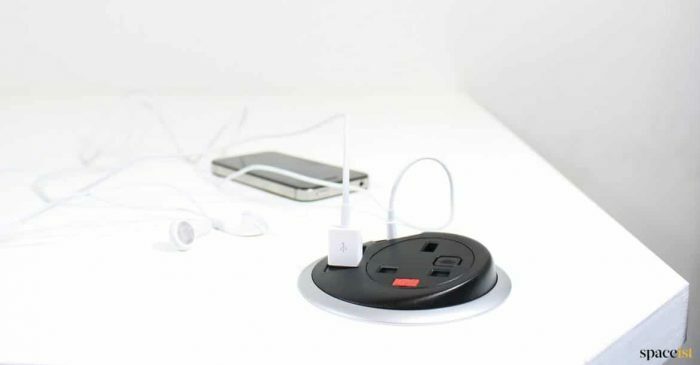 Quick wireless charging point for breakout, touchdown & short-stay areas. 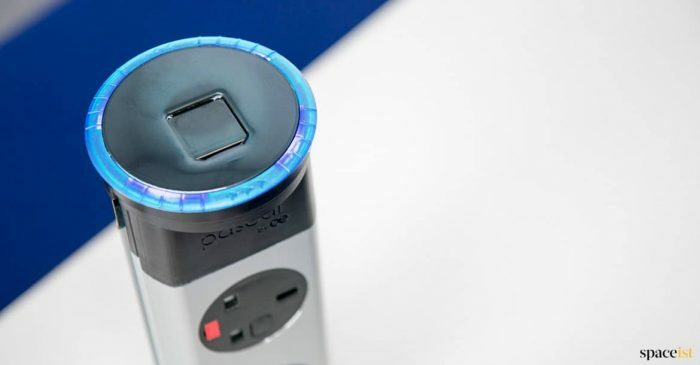 The charger works with both Samsung 10W & Apple 7.5W charging modes. 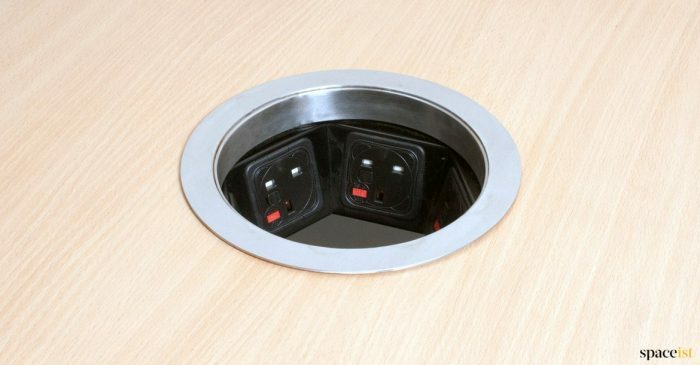 Economical desk or meeting table plug & socket point. 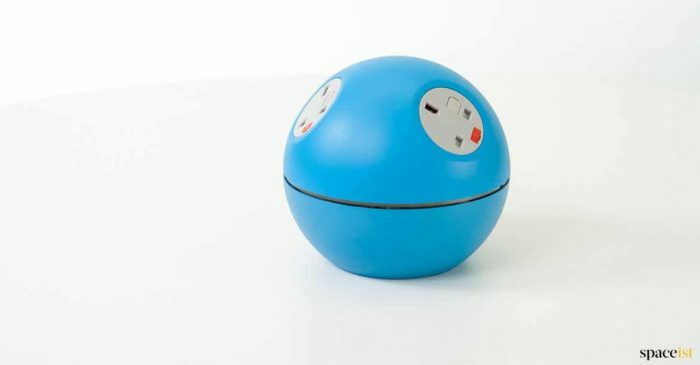 Compact desktop UK plug & USB socket in dark blue, blue, green, yellow, orange, red, purple, white & black. 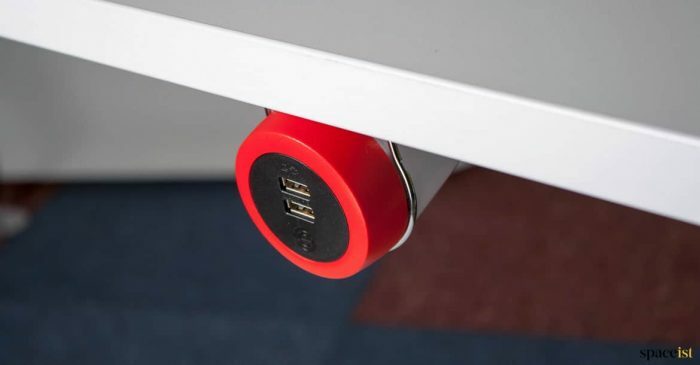 Popup desk and meeting table plug & USB socket unit. 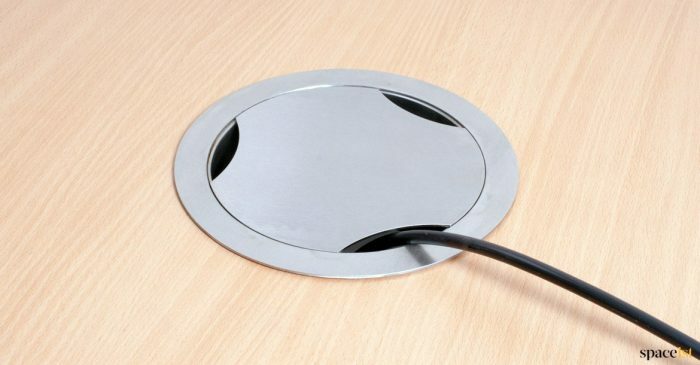 Tool-free fitting to any 80mm grommet hole. 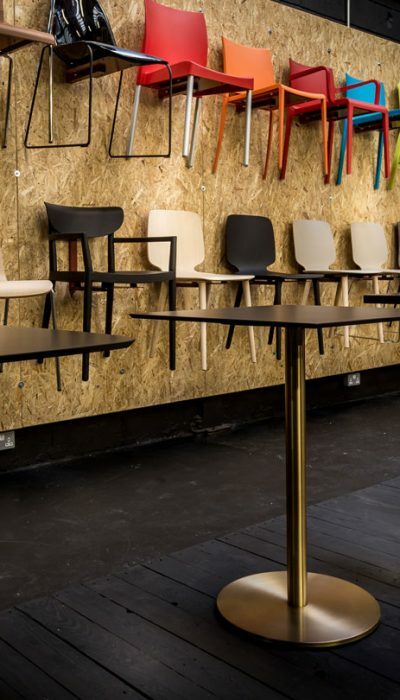 Choose from white or black. 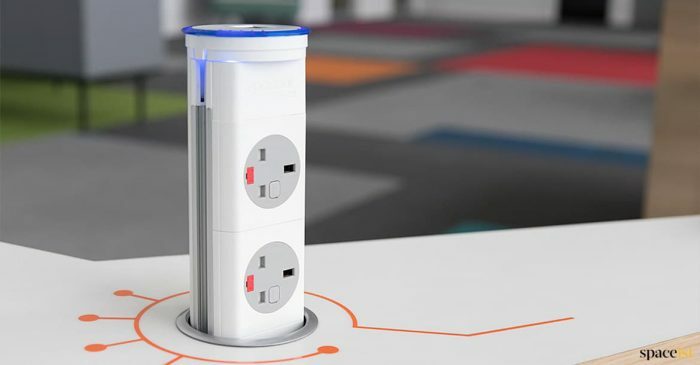 UK plug & USB charging points on a stand. 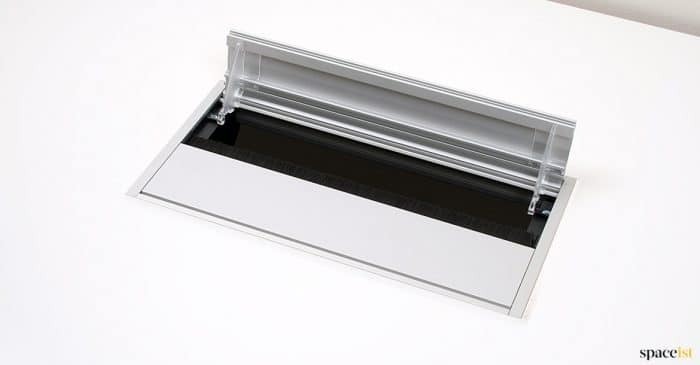 Available in 10 colours with a silver column & base plate as standard. 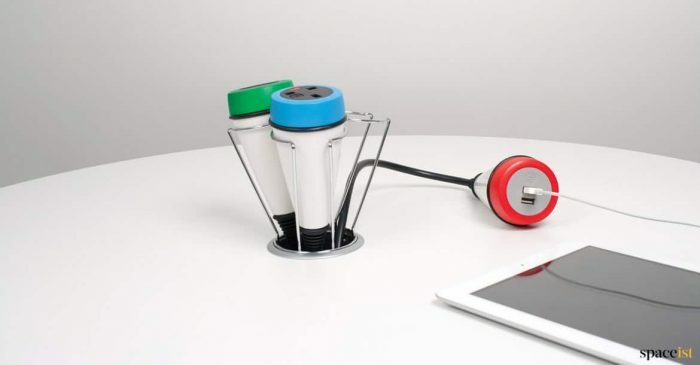 Free standing plug or USB charging point with a flexible power cord. 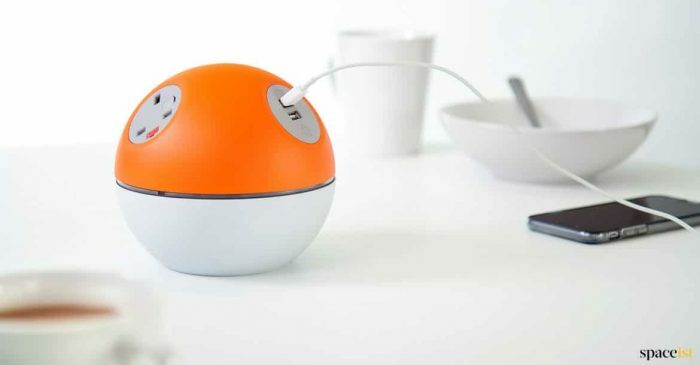 Available in 10 colours with a white or black cover. 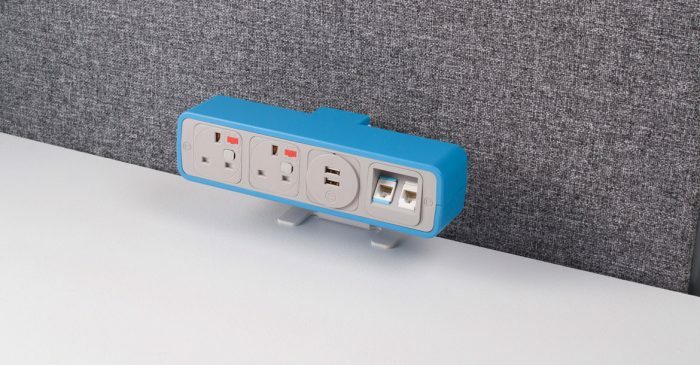 Small two plug socket office desk unit. 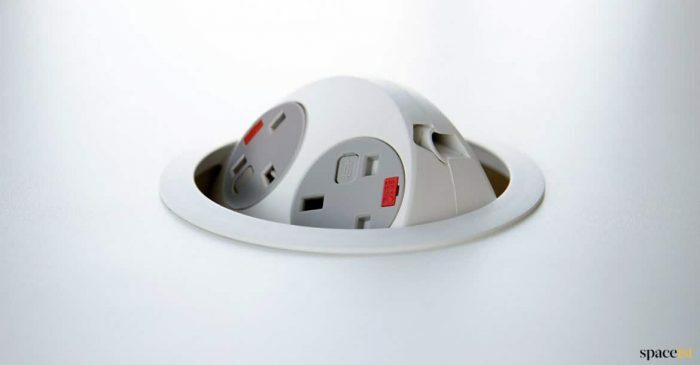 White or black body with black or grey socket covers. 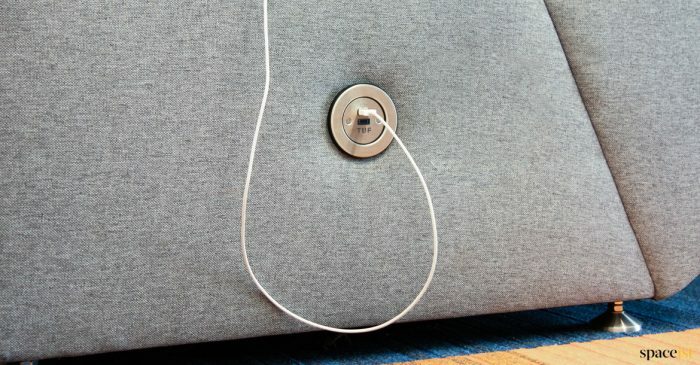 White or black power cable. 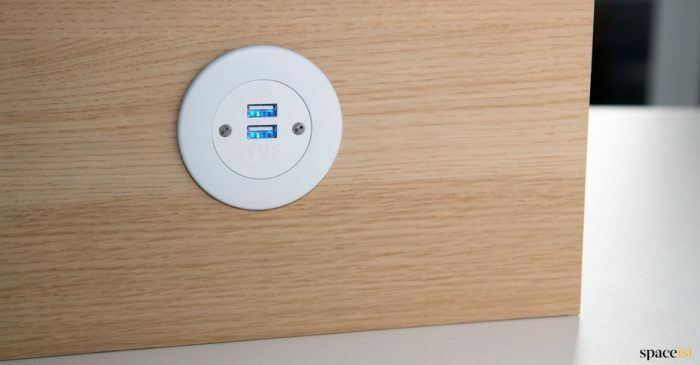 Small round plug & USB Socket for panels. 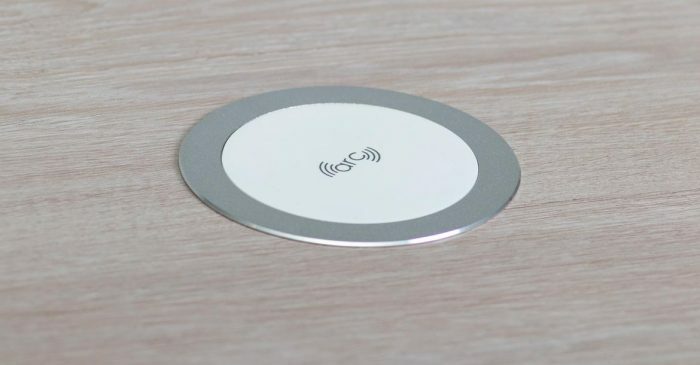 Fits into any 60mm grommet hole & only requires a 44mm depth. 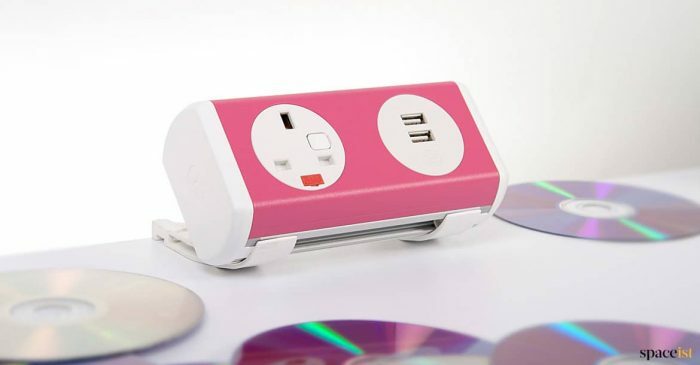 UK plug, USB charger, USB data, Ethernet RJ45, HDMI, VGA or VGA stereo. 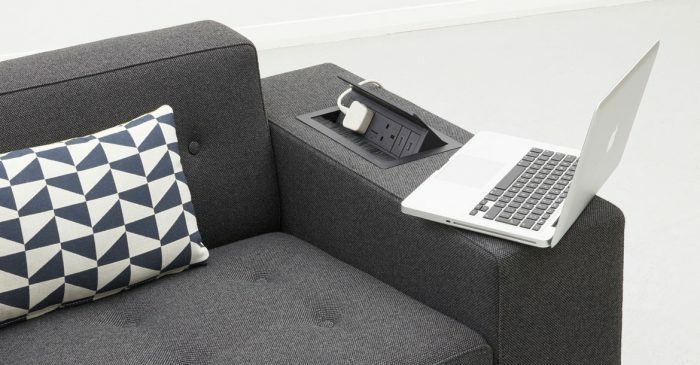 Small USB charger & UK plug socket that can be placed into a sofa armrest or front & side panels. 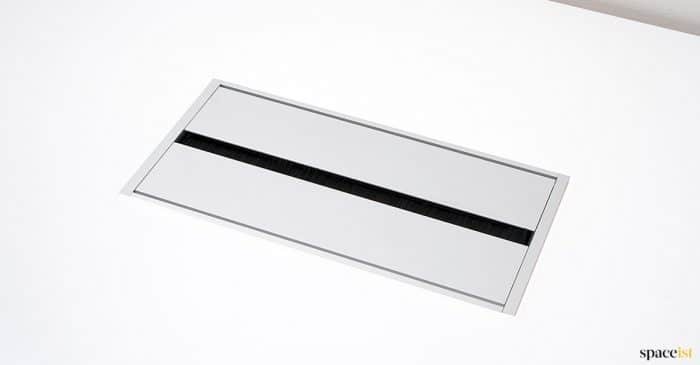 Tool-free fitting into a standard 60mm hole. 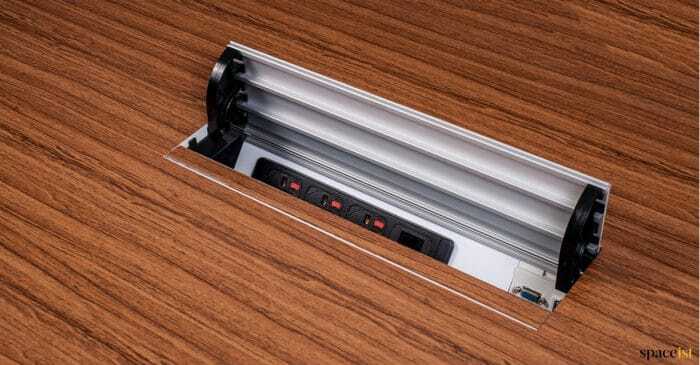 Small & compact desk top power point that can be fitted into any 80mm cable hole. 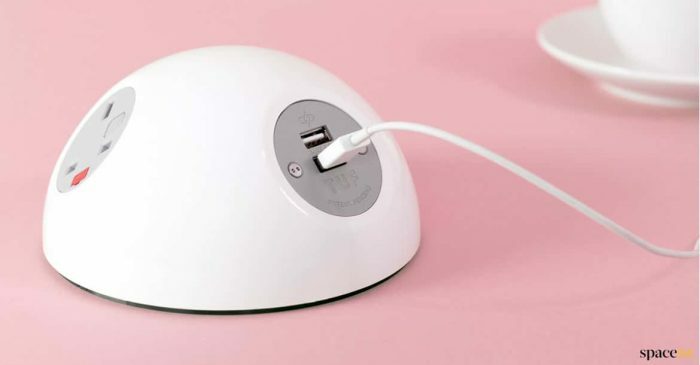 Options – UK plug, USB charger, USB data, Ethernet RJ45, HDMI, VGA or VGA stereo. 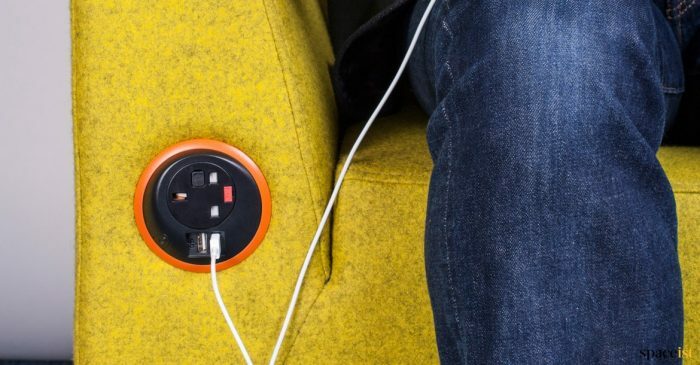 Sofa power & USB socket that can be fitted into most office and breakout sofas. 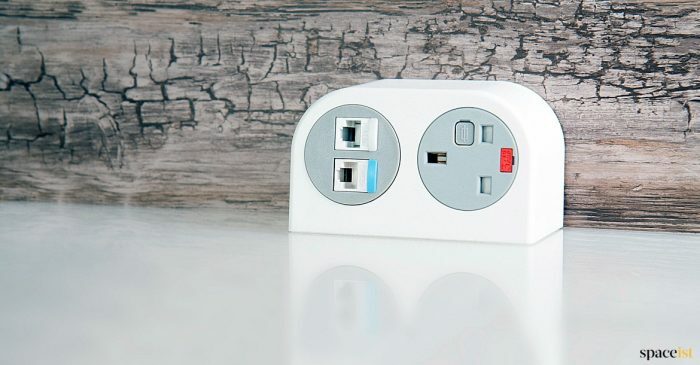 Socket options include UK plug, USB charger, USB data, Ethernet RJ45, HDMI, VGA or VGA stereo. 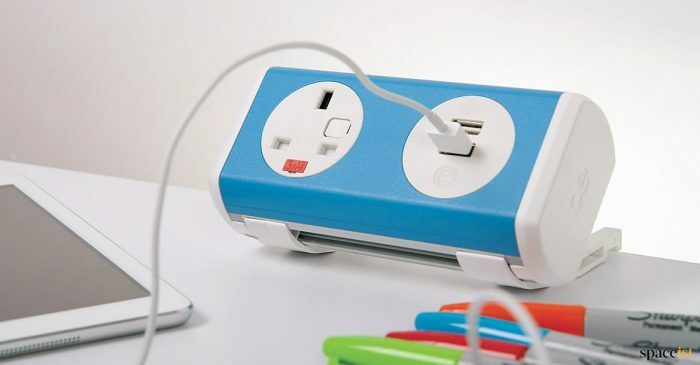 Desktop UK plug socket, USB charger, USB data, Ethernet RJ45, HDMI, VGA and VGA stereo. 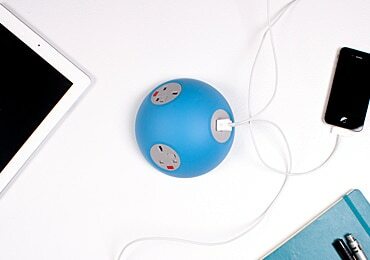 Choose from 10 satin colours. 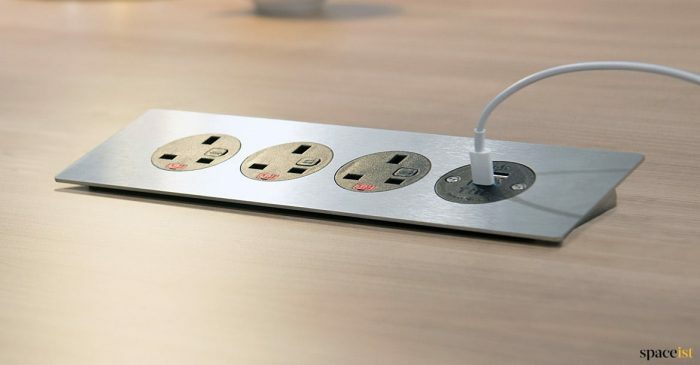 Stainless steel UK plug & USB socket with 4 or 2 modular sockets. 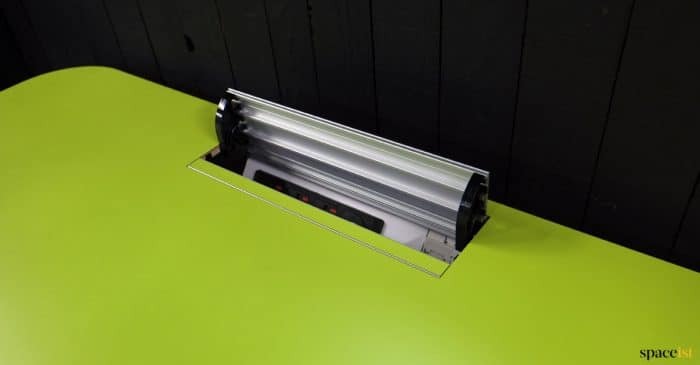 Fits most meeting table tops. 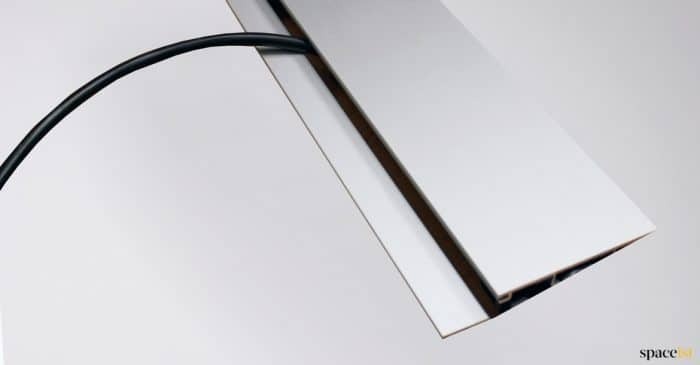 USB data, Ethernet RJ45, HDMI, VGA or VGA stereo. 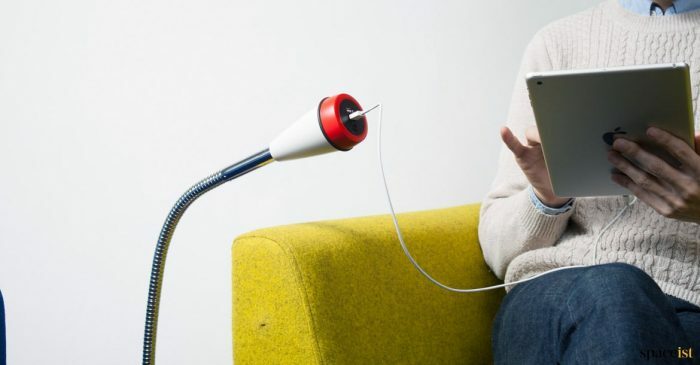 Free standing plug or USB charging point with a flexible arm. 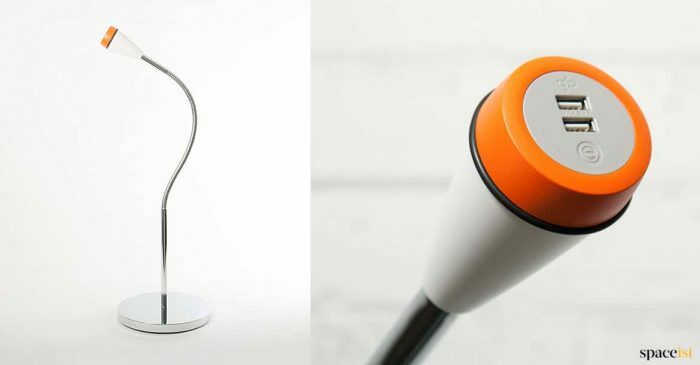 Available in 10 colours with a chrome or black stem and base plate as standard. 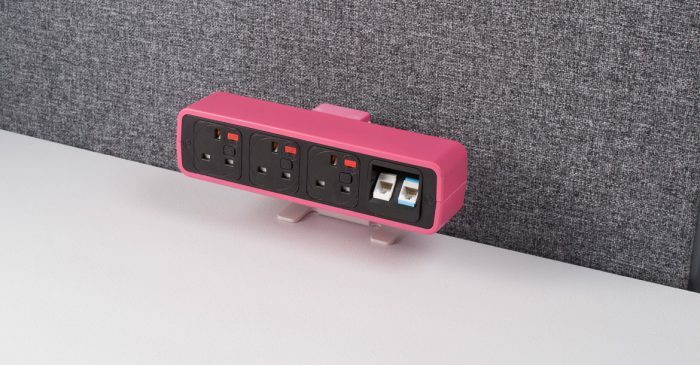 4 plug socket unit in various bright colours. 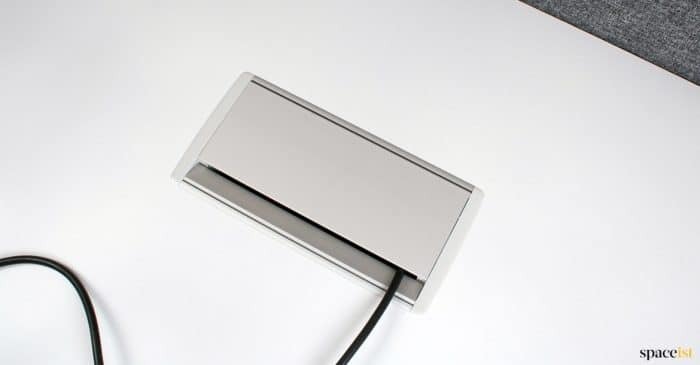 The Pulse8 is suitable for high impact areas such as touch-down desks & training rooms. 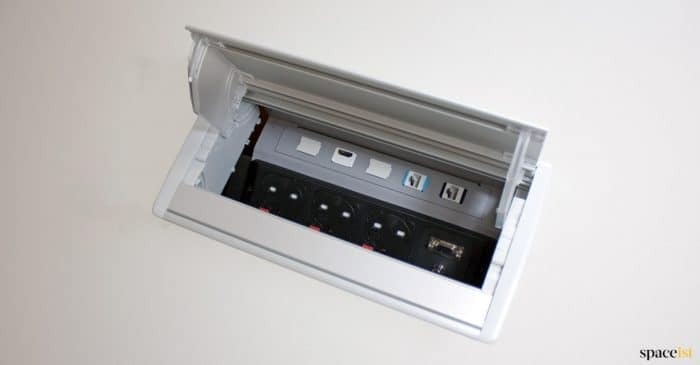 Large in-top unit with 8 socket points. 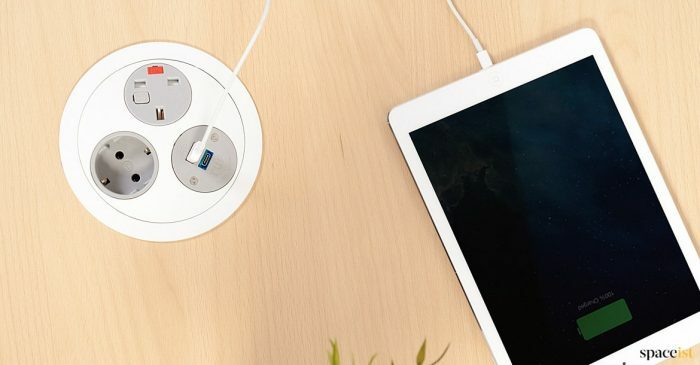 Choose from UK plug, USB data, USB charging & video. 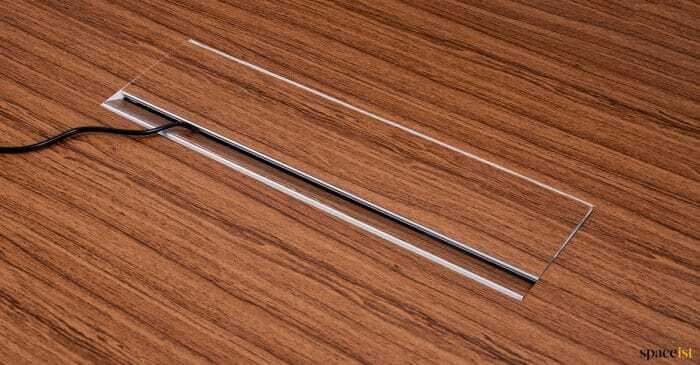 Standard colour is aluminium.